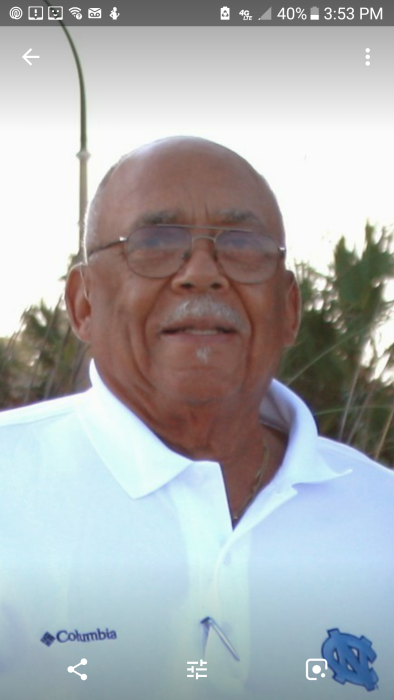 Obituary for Richard Louis Stoner, Sr. | Hairston Funeral Home, Inc.
Mr. Richard L. Stoner, Sr. age 86 of Salisbury, passed, Saturday, May 12, 2018 at the NC Veteran's Home, surrounded by his loving family. Born in Davidson County on August 14, 1931, he was the son of Edward Richard Stoner and Mary Noble Miller Stoner. He was a graduate of Dunbar High School and attended Livingstone College for three years before being drafted into the United States Army in 1954, where he served honorably until 1956. He enlisted in the U.S. Army Reserve in 1961 and was the first African American 1st Sergeant of the local 991st Heavy Duty Truck Company where he served for almost 40 years. He was also employed with the VA Hospital for nearly 40 years. He was a long time employee of local grocery chains and eventually retired from Food Lion. He was also employed with Marie's Print Shop as a Sales Counselor for many years, serving numerous businesses in the surrounding areas for nearly 50 years. In addition to his parents, he was also preceded in death by a sister, Nottie Stoner Aldrich and a wife, Marlene Gill Stoner. He was a member of Yadkin Grove Baptist Church and North Main Baptist Church for over 18 years. He was a member of the J.C. Price American Legion Post, #107, Eureka Lodge #45 and Mt. Nebo Temple #3. Cherished memories remain with his devoted wife, Dorothy Guest Stoner of the home; son, Richard L. Stoner, Jr. "Dickie" and wife Anna, Salisbury; grandchildren, Richard L. Stoner III, "Trey", Logan Chase Stoner and Chloee Treshell Stoner; nieces Donna Hall and Anita Stovall all of Salisbury and many extended family members and friends. A wake will be held on, Wednesday, May 16, 2018 from 7:00 p.m. until 9:00 p.m., at North Main Baptist Church, 1501 N. Main St., Salisbury. Service: Thursday, May 17, 2018-Visitation-11:00 a.m., Funeral: 11:30 a.m., at North Main Baptist Church, Rev. Dr. Dale Robertson, pastor/eulogist. Burial will follow at the Salisbury National Cemetery, 501 Statesville Blvd., at 1:00 p.m. with military honors. The family will receive visitors at the home located at 1525 Sells Road, Salisbury. Hairston Funeral Home, Inc., is serving the Stoner family. Online condolences may be sent to hairstonfh.com.